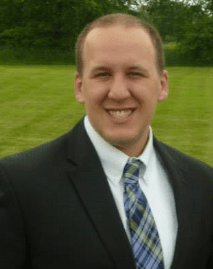 EctoHR, Inc. welcomes Brad Smith! EctoHR is pleased to announce the addition of Brad Smith to its internal team as an HR Generalist. Brad earned his Bachelor degree in Human Resources from Central Michigan University before starting his career in the staffing industry with Randstad and Quicken Loans. Brad looks to quickly leverage his experience in fairly high volume recruiting and fast-paced, technical environments with strong compliance requirements. Brad and his wife, Christine, have been married for just over a year and live in Livonia. Currently, they have no children or pets but are open to suggestions for the latter, though it should be noted that Christine is allergic to cats and Brad has an intense fear of birds.